American bison (Bison bison) are huge mammals with the impressive distinction of filling the role of North America’s biggest land animals, in terms of weight. Not only is their immense size memorable, so are the big single humps that are located on their shoulders. As a highly companionable species, American bison usually reside in herds. Adult male American bison usually weigh somewhere between 1,000 and 2,000 pounds, while mature females are typically considerably lighter in the range of 800 to 1,000 pounds. They have dense, deep brown fur, black horns, sturdy limbs, wide necks and substantial heads. When it comes to feeding time, American bison are serious grazers. Grass makes up most of what they consume, but if it isn't easily available to them, they look to other plants like sagebrush. Lichens, mosses and berries also make regular appearances on the American bison menu. Out in nature, American bison tend to live for between 15 and 20 years. In captive environments, some specimens have reached 40 years. The signature humps of American bison are nothing like those of camels, which consist of fat. American bison can't use their humps in times of scarce sustenance. 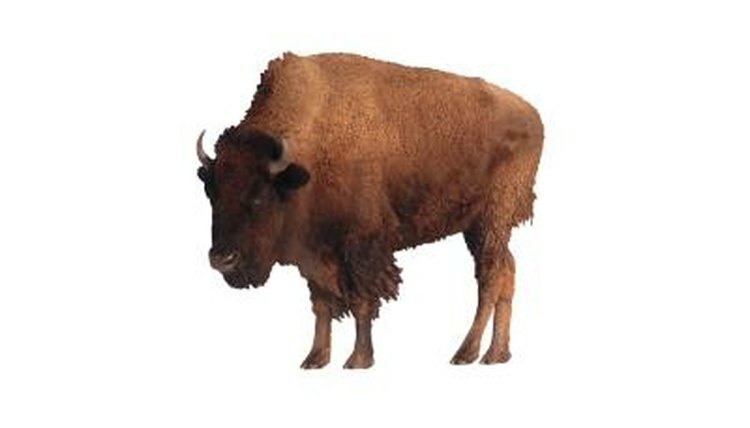 The humps of American bison are made up of muscles. Vertebrae serve as the foundation of the muscles inside of the humps. The humps make American bison look a bit like they're crouching over. Like camels humps, American bison humps are not mere decorative features, but actually provide extremely useful functions. These large piles of tough muscles enable American bison to clear out snow in times of cold and frigid weather. When they sway their heads, their heads work to push away the white stuff, operating a lot like enormous snow shovels. These humps of muscle come in handy to control the motion of their heads, which generally weigh in the ballpark of between 50 and 75 pounds. American bison youngsters don't come into the world already sporting their shoulder humps. These humps usually start showing up once the wee calves are roughly 2 months in age. Their horns also usually start popping up around this time. Note that the horns of male and female American bison don't look exactly the same. Not only are the females' horns a little narrower, they also have a subtle twist to their formation. The Library of Congress: How Much Water Does a Camel's Hump Hold?